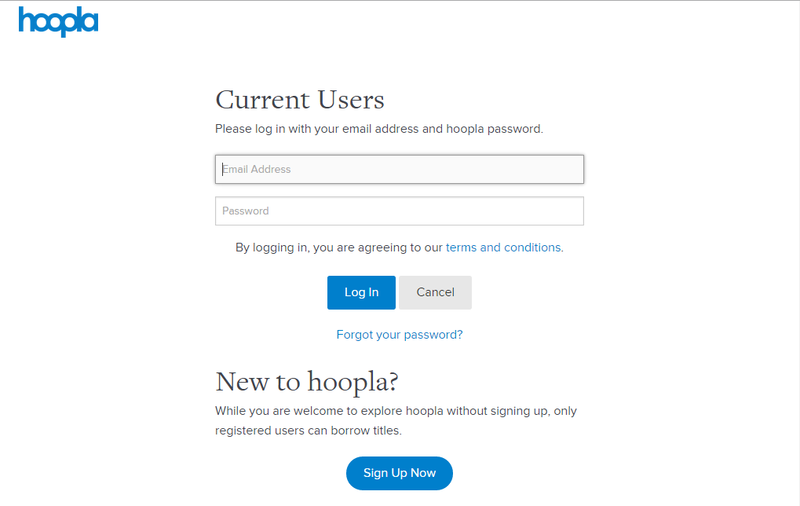 Visit the hoopla web site and click the “Log In” button in the upper right corner of the screen. 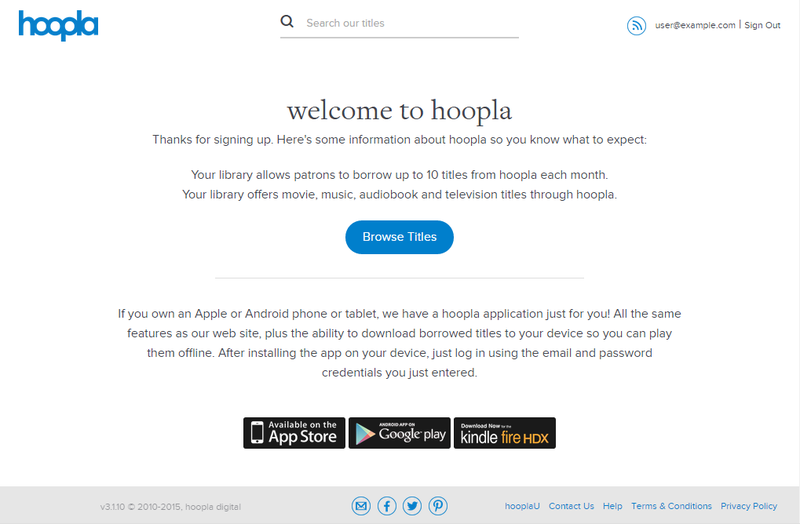 Click the “Sign Up Now” button under the “New to hoopla?” heading. Click the “Athens County Public Libraries” button to continue. Enter your email address and create a password for accessing your hoopla account. 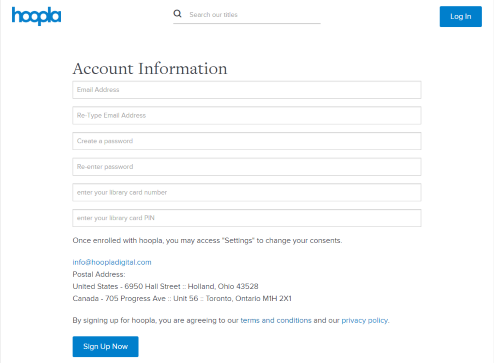 Enter your library card number and password. Enter your card number with no letters. Add zeros to the beginning of the number so that it is seven digits. 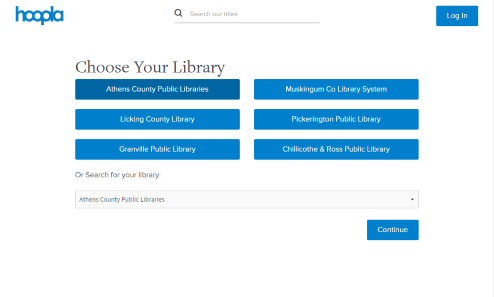 For example, if your library card is printed with “P 12345” enter “0012345.” If you do not have a password please visit your library to request one. Your account creation is complete! 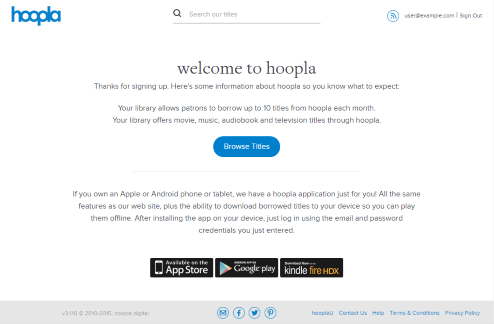 The welcome page will give you some additional information about what is available from hoopla and what the borrowing rules are. 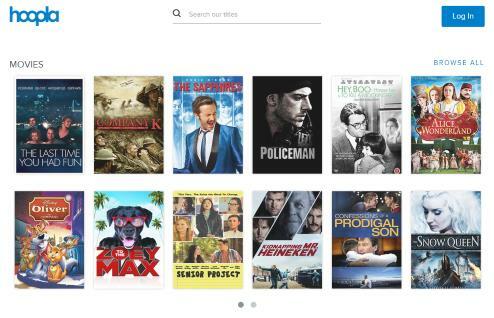 * Hoopla Kindle support is limited to only 7″ and 8.9″ Kindle HDX devices. 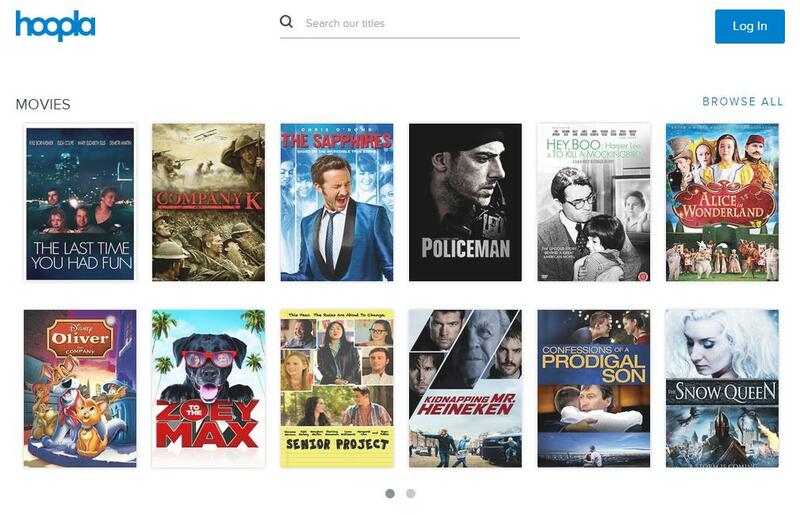 Downloads for video on the Kindle are blocked at this time, but are allowed on music and audiobooks.